Here’s a fashion-forward design that features a hint of vintage! 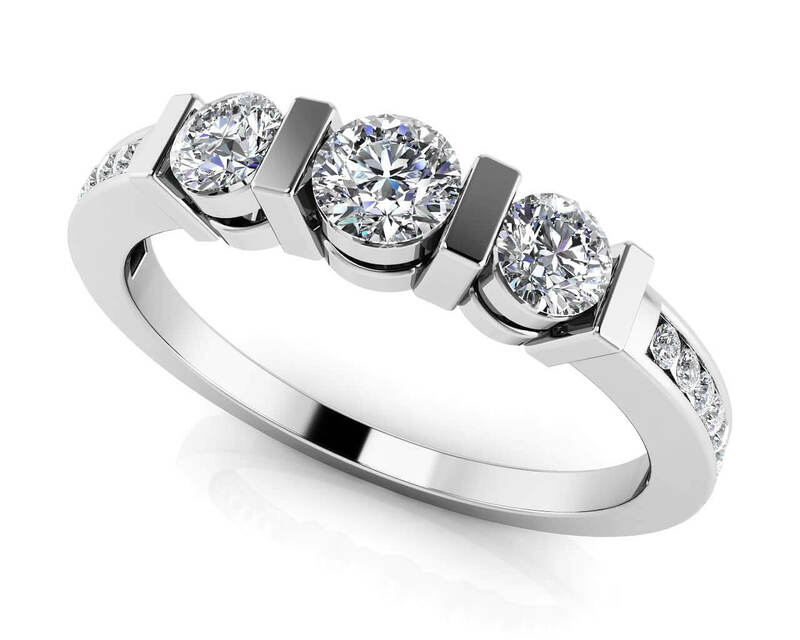 The classic, three across design has been taken to a new level here….not only does this ring feature a fabulous center stone, set in a 6 prong setting, but lovely diamonds on each side. 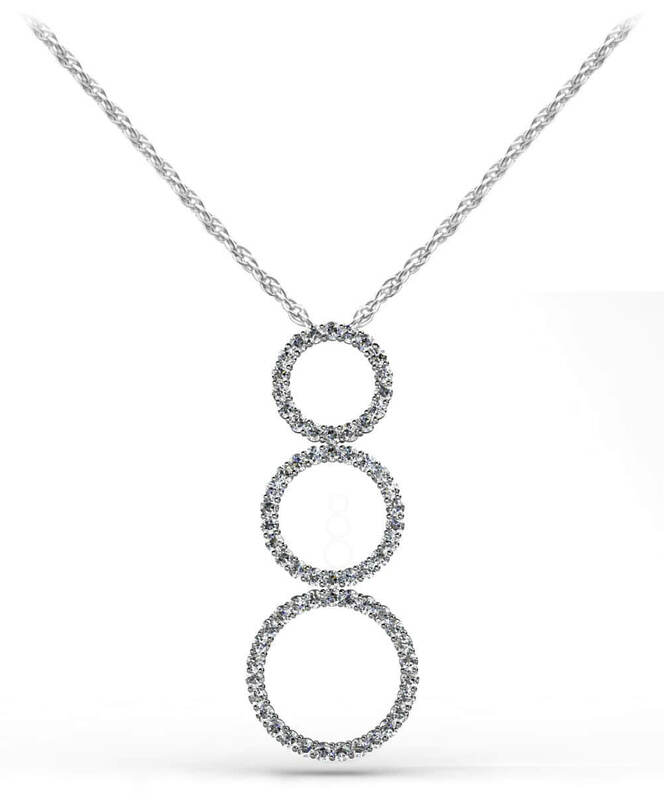 We’ve added 16 more incredible channel-set diamonds (8 on each side) to complete the picture! The center stone is available in 4 different sizes, you can choose from half a carat, ¾ of a carat, a full carat, or 1.5 carats. 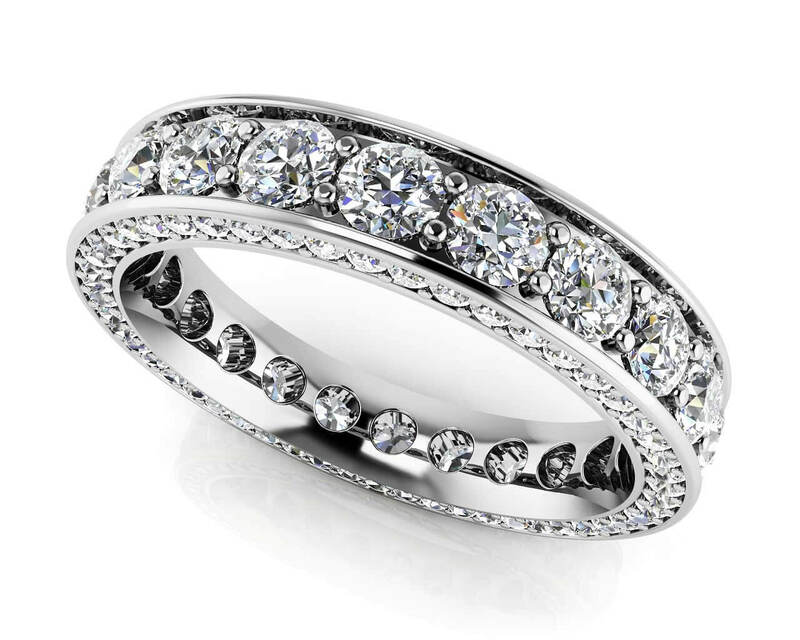 Have this ring set in either gold or platinum, we think this one’s triple terrific! 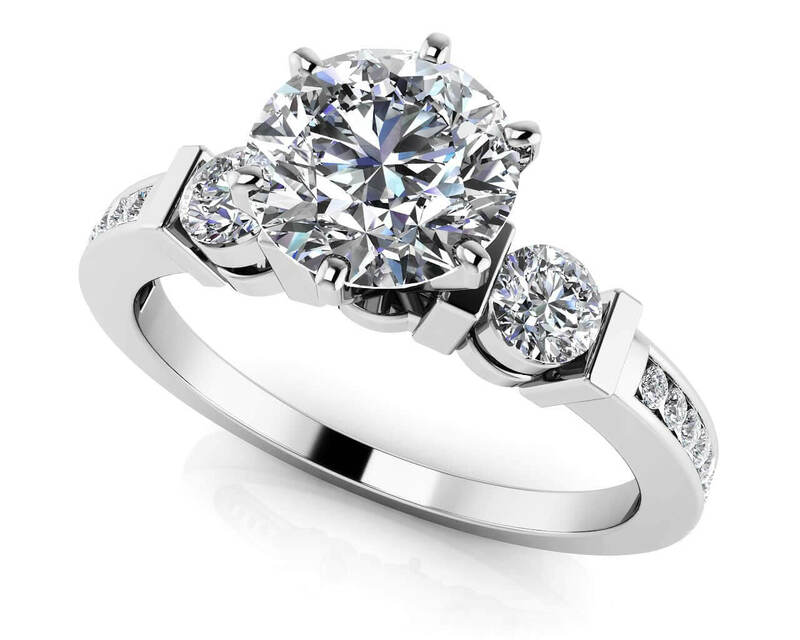 Model Carat Weight: 0.85 ct. 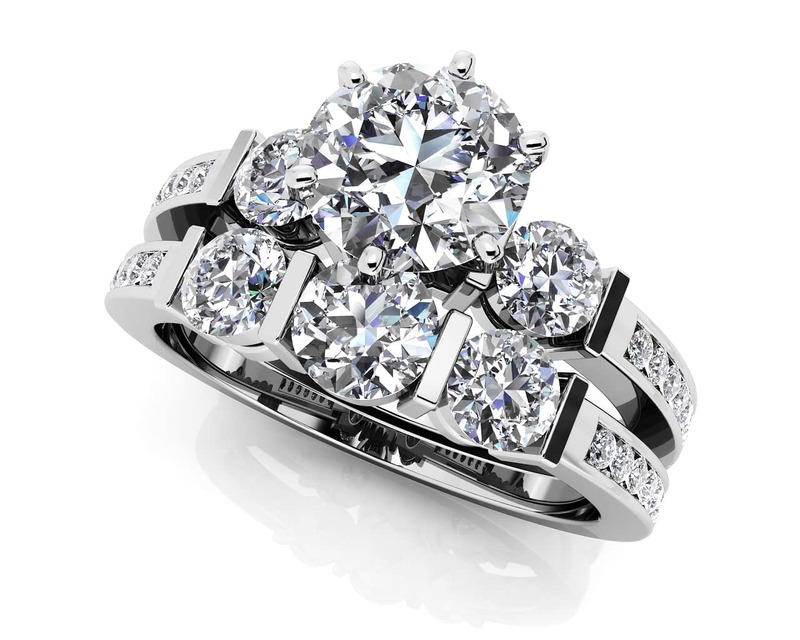 Effective Carat Weight: 0.85 ct.
Stone Carat Weight: 14X.010 ct., 2X.105 ct.